teachers-in-training at the College of Education to address the needs of every student in their classrooms once they graduate. As if that weren’t enough, Brownell also has been pursuing an even higher goal—galvanizing efforts across states and the nation to ensure that every student in America’s public schools, especially those with disabilities, receives the benefit of learning from teachers who possess the training, knowledge, skills and insights to provide exemplary teaching to ALL students. It may sound like “Mission: Impossible,” but tell her that at your own risk. Brownell knows she can’t do it alone. Her MO is to organize and galvanize, which is exactly what she has done as director of a 20-state, collaborative program based at UF known as the CEEDAR Center—CEEDAR being short for Collaboration for Effective Educator Development, Accountability and Reform. Her goal—THEIR goal—is to help the states increase academic success for students with disabilities by vastly improving the education and practices of their teachers and school leaders. The CEEDAR effort was launched in 2013 with a record $25 million grant over five years from the U.S. Department of Education. Success spawned a follow-up federal grant of $21 million in December to continue and expand the ambitious program to additional states over the next four years. Brownell’s guidance of CEEDAR’s growth and impact is only her latest feat, which is why two national groups are recognizing her complete body of work that continues to transform the knowledge, practice and policies in the special education field. Brownell joined the UF College of Education faculty in 1990 and has a lengthy list of accomplishments, including publishing more than 100 scholarly works and securing $65 million in federal grants to fund research aimed at improving teaching quality for students with disabilities. 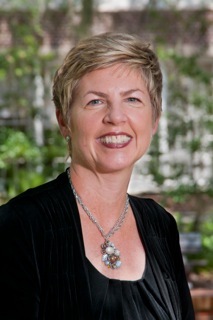 She previously has been recognized nationally for her leadership, research and legislative advocacy for special education teacher preparation by the CEC Teacher Education Division, the group’s Division for Research, and a lifetime achievement award from the American Association of Colleges for Teacher Education (AACTE). Brownell also has received college and universitywide honors at UF for teaching undergraduate students and for mentoring doctoral students. She has directed numerous research and training projects that have generated funding for more than 50 Ph.D. students in multiple education specialties. Brownell is not one to rest on her laurels.